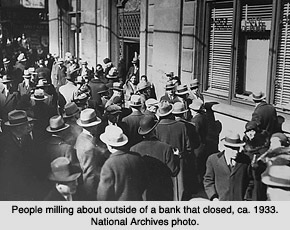 When the Great Depression began, over 8,000 commercial banks belonged to the Federal Reserve System, but nearly 16,000 did not. There were still state banks that were not members. Those non-member banks operated in an environment similar to what existed before the Federal Reserve was first, established back in 1914. People criticize the Federal Reserve all the time yet offer no viable alternative. The two-tier banking environment harbored the causes of banking crises itself in addition to the Sovereign Debt Crisis. One primary cause of the banking collapse was the practice of counting checks in the process of collection as part of banks’ cash reserves. You could write a friend a check for $1 billion and he writes you a check for $1 billion, and under this system, you are both billionaires while waiting for checks to clear. These “floating checks” were therefore counted in the reserves of two banks, the one in which the check was deposited and the one on which the check was drawn. In reality, however, the cash resided in only one bank, assuming it did not bounce in the end. Bankers at the time referred to their reserves using these floating checks constituting fictitious reserves. 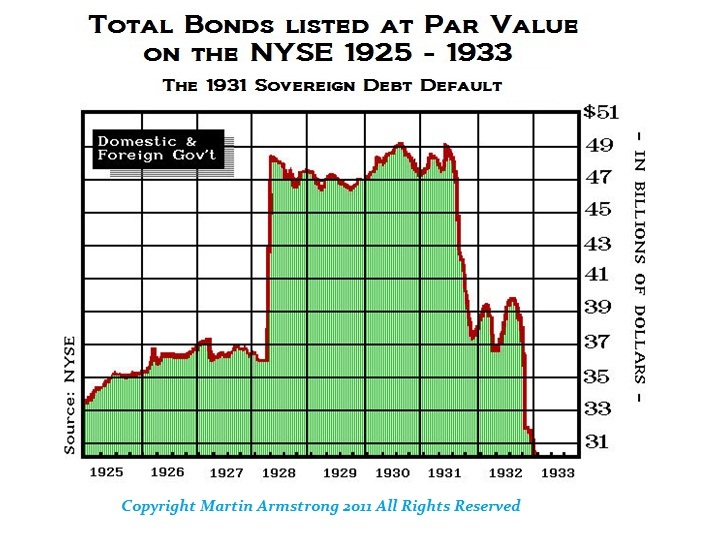 The quantity of fictitious reserves rose throughout the 1920s as the economic boom unfolded and it peaked just before the financial crisis in 1930 during the last quarter of 1929. This meant that the banking system as a whole had much lower actual cash (or real) reserves available in emergencies than appeared on the surface thanks to counting these floating checks as reserves. Additionally, without membership in the Federal Reserve, non-member banks were plagued by their inability to mobilize bank reserves in times of a crisis. Non-member banks kept a portion of their reserves as cash in their vaults (something nobody does today) and the bulk of their reserves as deposits in correspondent banks in designated cities. 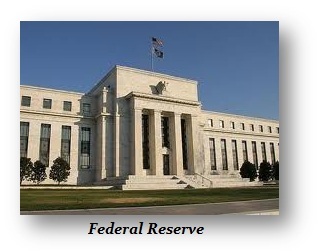 Most of these correspondent banks belonged to the Federal Reserve System, but not all. However, this interestingly created a reserve pyramid whereby these state or local country banks had no access to reserves during times of crisis. Whenever a non-member bank needed cash because of a run by its customers, the bank had to turn to its correspondent who might have had requests from many banks simultaneously. The correspondent bank also might not have the funds on hand because its reserves consisted of floating checks in the mail, rather than cash in its vault. If such a shortage unfolded, then the correspondent bank would turn and request reserves from yet another correspondent bank. That bank, in turn, might also have a shortage of cash reserves available. 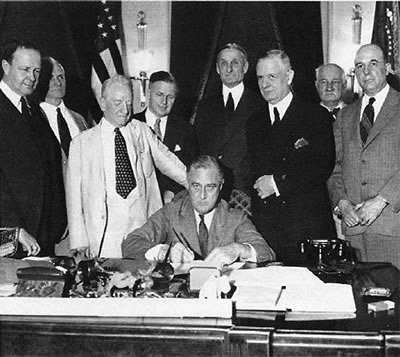 The Glass-Steagall Act was enacted because one bank created a major panic. The problem of floating checks being attributed as reserves turned the collapse of Caldwell and Company into a major financial event. Located in Nashville, many people assumed the Southern banks were safe since they were out of New York. However, the Nashville bond trading house, Caldwell & Co., was in very serious trouble because of the bond market. Caldwell & Co was Nashville’s largest bank. When the market crashed in late 1929, the ripple effect set into motion a series of events that would eventually bankrupt Caldwell’s teetering empire. Some of the industrial companies owned by Caldwell & Co. lost huge amounts of money or went bankrupt. The bond issues that Caldwell had bought as a trading company could not be sold to the public since there was just no bid. Caldwell had been a rapidly expanding conglomerate and the largest financial holding company in the South. It provided its clients with an array of services (i.e. banking, brokerage, insurance) through an expanding chain controlled by its parent corporation headquartered in Nashville, Tennessee. This served as the model for why Glass-Steagall was enacted. The parent company got into trouble when it invested too heavily in securities/bond markets and lost substantial sums when stock prices declined. In order to cover their own losses, the leaders drained cash from the corporations that they controlled. The problem of the floating checks being counted as reserves warned that the reserves of European banks using the bonds of all members introduces a similar potential risk. As members get into trouble post 2015.75, we can see a cascade event in the banking system. Just as Caldwell went down and took the South with it, the interconnections between banks and correspondent banks still remains to this day. While checks are no longer counted as reserves until they clear, the need for one central bank and one quality of reserves was documented during the Great Depression. The bulk of the more than 9,000 bank failures took place among non-member banks.